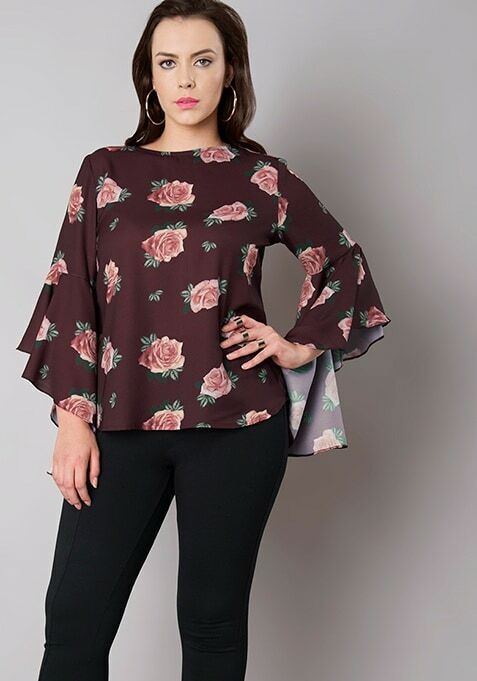 Flutter and sway in this super on-trend oxblood top. Features beautiful floral print, voluminous bell sleeves and a relaxed fit. Work it - Looks insanely hot with jeggings and stilettos.